Old Enfield neighborhood in Austin, Texas is one of Austin’s most charming and historic neighborhoods. Bounded by Lamar Boulevard to the East, MoPac to the west, Windsor Road to the north and Enfield Road to the south, the area is only a few minutes to the University of Texas campus and downtown Austin. The historic charm and towering oaks attract many people to this lovely inner-city neighborhood and it is no wonder that Old Enfield is such a desirable place to call home. First established through a land grant during the presidency of Mirabeau Lamar in 1841, the area is the setting for many of Austin’s finest historic homes. The centerpiece of the neighborhood is the Pease mansion, formerly known as Woodlawn, and was the home of Texas Governor Elisha Pease. Located just west of the University of Texas and downtown Austin, the house sits on four square blocks that are the remaining acres of the home before it was subdivided in 1910 by the Enfield Realty and Home Building Company. 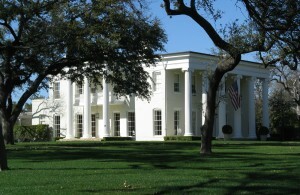 The Pease Mansion was owned by the family for over 100 years before it was sold to Governor Allan Shivers and later sold to the State of Texas. 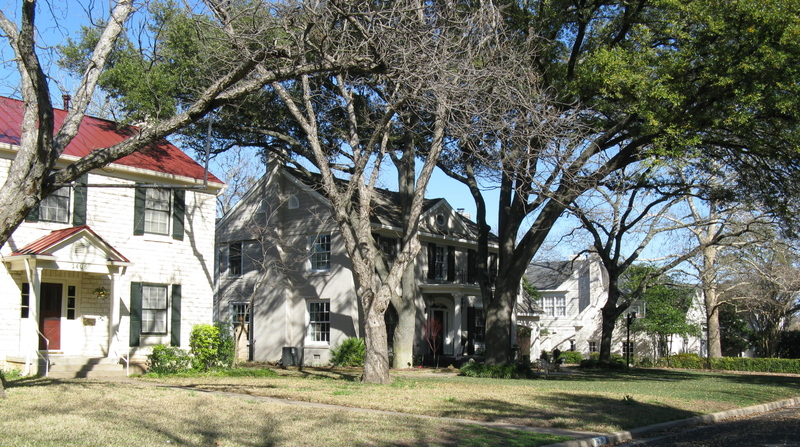 Old Enfield is home to many charming historical homes and is part of the Old West Austin Neighborhood Historical District. This does not prohibit anyone from doing any interior remodeling to their property, but it does tend to restrict significant changes to the exterior, particularly elevations, so this might be a concern to someone who is wanting to complete massive redesign on a home. 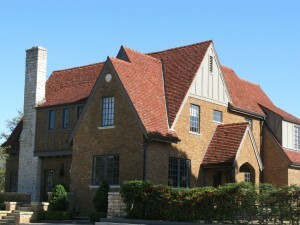 The houses are built generally between 1910 and 1950 and include a myriad of architectural design styles including Colonial, Tudor, Georgian, Italian, French Eclectic, Medieval and Traditional. Prices range from $250K for a 900 sq. ft. bungalow to $2M for a 4,000 sq. ft. mansion. There’s a wide range of prices for most budgets! 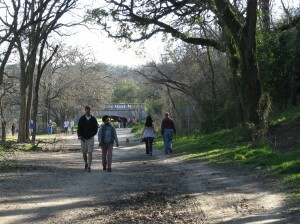 The wooded fairy-land of Pease Park winds its way along the banks of Shoal Creek on the east boundary of Old Enfield. In the spring, students, neighbors and citizens from all over Austin join the festivities to celebrate the birthday of that famous literary donkey, Eeyore at a public party that began in the early 1970s. While the area is strictly residential, there are enough local venues for dining and shopping to keep the populace satisfied. West Lynn Street has a number of shops and restaurants including the 4-Star rated Jeffrey’s for fine dining, Cipollina Bistro for excellent take-out, and Nau’s Enfield Drug for classic fountain service like you remember from you childhood!